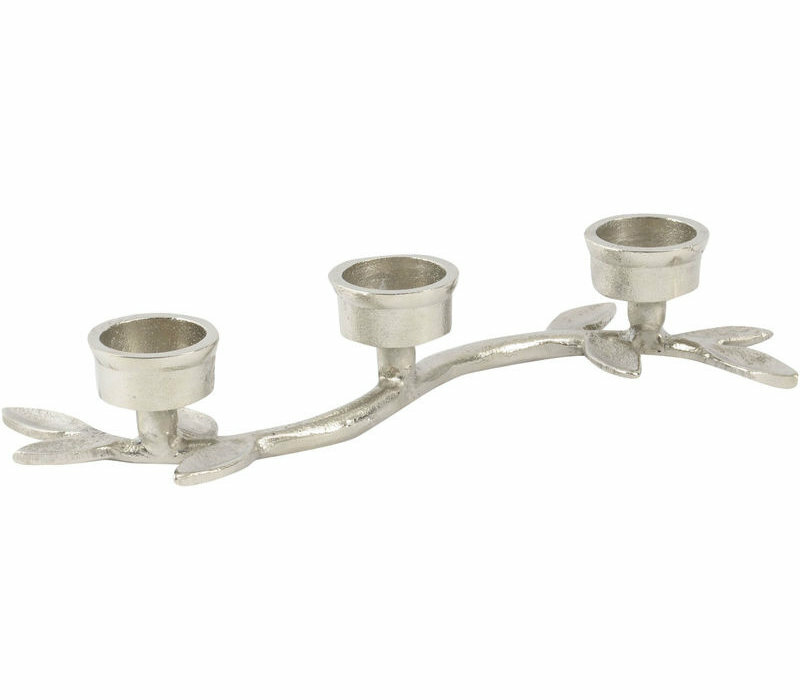 Silver Olive Leaf Aluminium 3 Tealight Holder; an aluminium decorative piece with three candle holders. Finish in a silver hue. 36cm W x 19.9cm D, x 5.5cm H.